East of US 59 and west of Loop 494 - 1300 ft on Highway 59. Hendricks Interests sign on property. East of US 59 and west of Loop 494 – 1300 ft on Highway 59. West of US 59 between Knox and Wallis Road. 1293 ft frontage on US 59. West of US 59 North and South of FM 1485. 666 ft on US 59. East of US 59 North, 1.2 miles south of FM 1485. 400 ft of frontage on west side of Loop 494. On FM1488, 2 miles east of Magnolia and 11 miles west of I45. West of Jackson Road, 1 1/2 miles north of FM 149. Hendricks Interests sign on property. Over 6000 ft of frontage on west side of IH 45. Access from the northbound frontage road. Approximately 9 miles northwest of Huntsville on I-45. 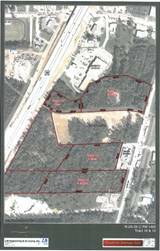 4,852 ft of frontage on east side of IH 45. 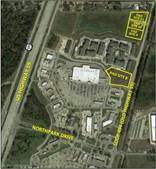 Access from the northbound frontage road. 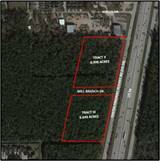 Property has approximately 427 ft frontage to southbound frontage road of IH-45.